Chinese Home Library: 4 Different Types of Chinese Books – Hands-On Chinese Fun! Did you know there are many different types of Chinese books? I sure didn’t! Ten months and thousands of dollars 🤑 later, I am now much savvier. Here is a brief overview of the different types of books for preschool to early elementary. I am referring to Simplified Chinese books because that’s what I use. The following information may or may not apply to Traditional Chinese books, which differ in many ways. These books are designed for parents to read to their children (亲子阅读). Picture books are large and have colorful pictures on every page accompanied by a few lines of text. The print tend to be small and without pinyin because it’s assumed that it will be read by adults. These books have rich storylines, beautiful illustrations, and are great for parent-child bonding when you read together and discuss the pictures. They expose your child to higher-level vocabulary, idioms and content. These books are designed for children to read to themselves. The font is usually large and they use easy basic characters like the most common 500 characters. The stories tend to be simple and rather lame, because really, you can’t write much exciting stuff using only 500 characters. You can tell a book is a reader if it includes flash cards or tells you it has X number of characters on the cover. They are also usually called 我会读，我会自己读, or something along those lines. Most readers tend to be small, thin paperbacks because they are for little hands to hold. These easy readers serve the primary purpose of helping children increase sight word recognition, and build confidence and fluency/speed. They teach a few new words per story with lots of repetition so kids remember the new words. Don’t spend too much of your time reading these to your kids. Compare a sentence in a reader “乖乖兔也生气了” (Good Bunny is also angry) to a sentence from a picture book “找到球了，入室盗窃案好像也一起侦破了” (After we find the ball, the burglary case will likely be solved as well). Which one has advanced vocabulary and sentence structure that you want your kids to learn? The answer should be obvious. I consider these simple chapter books because they are wordier with fewer pictures. These books are designed for children to read to themselves to practice reading so they can eventually read chapter books without any pictures. There are bridge books both with and without pinyin, and they vary in length and difficulty. Although these are designed for children to read to themselves, I do read them to my son occasionally to train his comprehension to have less reliance on pictures. I also want to familiarize him with the story so it’ll be easier for him to read them in the future. The guideline I follow (from the acclaimed The Read Aloud Handbook) is to read to your child at two years higher than his current level. Since my son’s Chinese level is at about 4 years old, I try to read aloud to him books suitable for 6 years old. In English, I read to him chapter books that are for 2nd-4th grade. Eventually the goal is for him to be able to read these bridge books to himself. All books with pinyin are basically written for kids to independently read to themselves. The books from China do not come with pinyin after around 2nd grade. Books with pinyin are an important step to independent reading. Since most preschool-early elementary kids only know several hundred characters, a far cry from the 3000 characters you need to know to read fluently, they need pinyin to read more interesting and advanced books. Kids in China read books with pinyin until they know several thousand characters in 2nd grade, at which point they transition to reading books without pinyin. If you’re wondering which of the four types of Chinese books you need, the answer is YOU NEED THEM ALL. As stated above, they serve different but equally important functions. Make sure you have a good selection of all four types. As a general rule of thumb, spend more of your time reading advanced stuff to your kid and let your kid read the easy readers/pinyin stuff to himself. This is true for any language. The other thing to keep in mind is that each of these types of books range in difficulty. Picture books range from extremely easy to extremely hard. Same for bridge books and pinyin books. Don’t be discouraged even if you have an older child who barely understands Chinese. Ten months ago, my son didn’t know a single word of Chinese and now he is able to understand some bridge books like 屁屁超人. The way to rapidly increase comprehension is start with really easy books like 鼠小弟 Little Mouse series and to keep reading slightly harder books every day. I also do repeated reading with him, e.g. the first time we read it I might translate portions into English. Then second and third time we read it, I translate less and less until he can completely understand Chinese. My home library has changed A LOT since I started building it about eight months back. I’ve put away some books that are too hard, and ordered more easier pinyin books for my son to read to himself since he’s been wanting to do that lately. We have about 500 books in his bedroom of varying type, level, and topic. Questions? Comments? You can message me on Facebook or Instagram. Thank you for sharing your experience! Valuable advice for moms who just started out like me. I love seeing all the books you recommend suitable for little boys, as a lot of mommas out there recommend books for mostly little girls. You’re welcome! 🙂 Yes, boys and girls tastes can be quite different! A comprehensive guide! Will look out for your recommendation! Thanks a lot! Pingback: Chinese Superhero Books for Kids – Hands-On Chinese Fun! 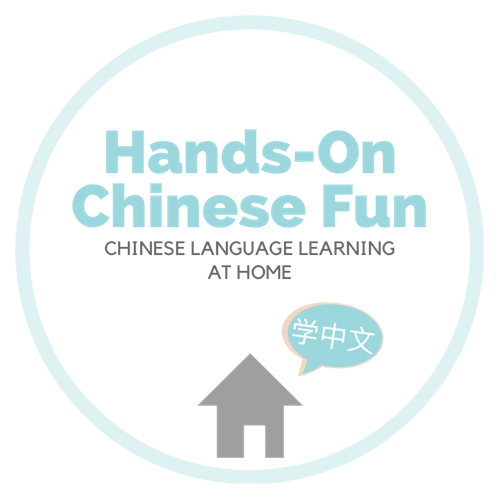 Pingback: List of Simplified Chinese Bridge Books – Hands-On Chinese Fun!